All I wanted was to confirm my stay with the Hilton Hotel in Mekkah before my Umrah. It took me about 5 days and the intervention of Hilton worldwide to get them to acknowledge my emails however it did work. I couldn’t help but actually laugh as it found it funny and I was somewhat surprised. I mean I understand that my name can bring confusion, as it is European name rather than a traditional “Islamic sounding” name. But still Islam IS a religion of all and a very big part of them are converts. 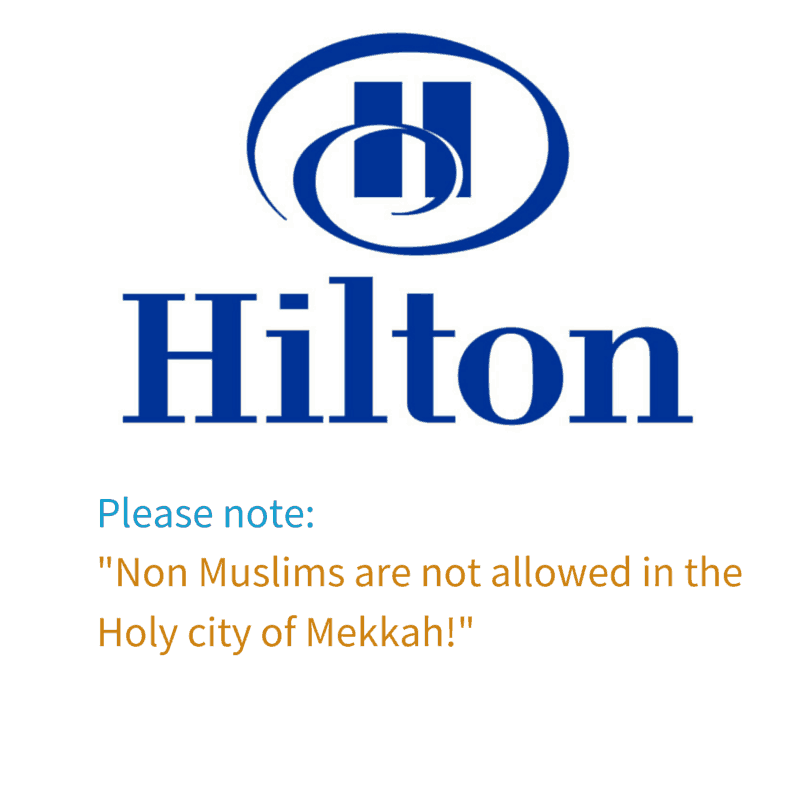 I expect that Hilton and any other hotel in Mekkah are actually fully aware of this and they shouldn’t be sending such “notes” in their emails. I did keep my name because it is part of my identity and it was also my grandmothers name whom I loved so much but this is a totally diff topic. However I would expect from Hilton and any other brand to actually not remind their customers about this on an email. But I think it is a case of never assume I am not, but rather assume that I am a Muslim. I am sure that people who go there have the best of intentions even though some non Muslims might be curious. It doesn’t help by us making it all super mystical either. I am very much looking forward to my trip which starts in just few hours. I will be posting about it while I am there so you can keep up and learn some more about what goes behind the scenes. 🙂 If you want to sign up for the updates then you can do this here or you can watch my hilarious video attempt.